So, you've filled up your Mac with your iTunes, photos and documents, and have set up your machine just how you like it. But then you run out of space on your hard drive! What can you do? Start from fresh? - NO! Here's how to move your system from one drive to another, and retain your system and files just how you like it! If you are using Time Machine, then you can use this instead to restore your data, you see our Time Machine FAQ. However, when transfering your boot disk to a new hard drive it can be better to do a clone rather than a Time Machine restore, since a clone restores all logs and caches, while Time Machine does not; this can lead to occasional minor issues on the restored system. While a Time Machine restore won't require any further hardware or software purchases, we almost always recommend a clone instead of a Time Machine restore if you are doing a planned migration from one drive to another. When changing your hard drive, you are making a change to your computer that is detectable to software installed on your machine. 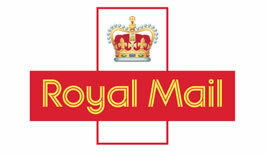 Some software has anti-piracy measures built into it which will interpret the change as being installed onto a new computer and will require reactivation before it can be used. 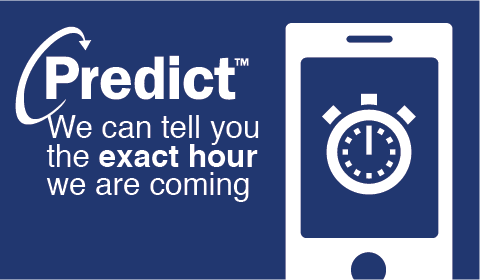 If the software has a limit on activations, and you have already reached that limit, reactivation may be difficult. To avoid using up an activation, you should deauthorise any software that has this option prior to cloning. Note this is not an issue with cloning as such, and the same issue can occur when restoring from a Time Machine backup. A new replacement internal hard drive. To see the ones compatible with your machine select your machine from the top navigation. Then scroll down the page to the internal hard drive section. Take a note of the difficulty section underneath the hard drive listings, which will give you an idea of the difficulty of the task of installing the drive, along with an overview of how to do so. Then add the drive to your cart. The required tools for the job. For All Apple Laptops (Intel and PPC) and the vast majority of desktops all you need is a set of Phillips and a set of Torx screwdrivers. These can be found here. A hard drive adaptor/enclosure, or an external hard drive (which you can blank down) in order to facilitate the data transfer (not needed for PowerMacs or Mac Pros where you have a spare internal drive bay). The type of enclosure you require depends on the type of machine you have. If you have an Intel based Mac laptop we have cheap cable adaptors like this, or enclosures such as this one here. If you want to go the external hard drive route, you can buy an external hard drive from us for this purpose (and then use as a further backup later on) you can see the range of drives we sell here. Owners of PPC Machines (ie G4 and G5 should buy FIREWIRE DRVIES) Intel Machine owners can use USB 2.0 and Firewire equally well for this purpose. Some software to clone with. There are a number of options here, the one that is the most popular from our conversations with customers is Carbon Copy Cloner. This is paid for software with a free 30 day trial. Another alternative is SuperDuper, which works in the same manner (albeit with a different interface). Some features in SuperDuper are not available until you pay to register the software. Some people prefer this interface and setup. The instructions below will be based around Carbon Copy Cloner although the theory can be applied to SuperDuper too. If you are running system software prior to 10.4 Tiger you will need to download an earlier version of Carbon Copy Cloner (available from the same site). Download the version applicable to you. 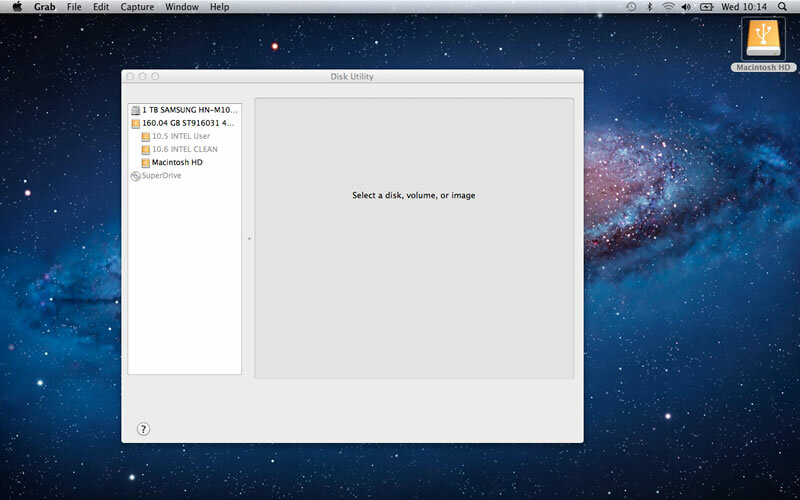 Once downloaded, double click the relevant .dmg file and drag the application to the Applications folder. 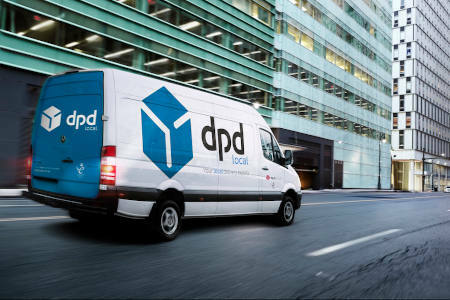 Now, you have everything you need, just wait until we deliver you your shiny new hard drive and enclosure. When you have received your order from us, set up on a nice large clean surface away from thick pile carpets and lie all the items out. Now you are ready to begin. It's a good idea to print this page in case you get stuck, and make a note of your order number with us in case you need help. These instructions are carried out in 10.7, however the process is the same for all earlier and later versions - (with some variance in appearance). The procedure for those using an adaptor/enclosure and new replacement drive bought from us. Especially MacBook, MacBook Pro and iMac (G5 or Intel) users. All enclosures are mostly the same. We use the Akasa enclosure here as an example, but the theory is sound for any, or for a simple cable adaptor. Unpack your new internal hard drive and the enclosure/adaptor. Remove the internal drive from the anti-static bag. Follow the instructions for installing the new drive into your computer. For home installable parts instructions are provided on our site in the internal hard drive section for the machine in question. You can find take-aparts on YouTube by searching for "MacBook Hard drive installation" (for example). Now install the old internal drive from the computer in to the enclosure (or connect it via the adaptor). Pull the enclosure gently apart to reveal the internal connections. Line up the old internal drive with the ports on the enclosure and gently but firmly press the drive into place. Use the 4 holding screws to hold the drive in place, push the drive back into the outer enclosure and re-attach the holding screws. Attach the USB cable to the enclosure (some drives may also require the USB power lead to be also connected to a USB port for power reasons) and to the computer. Ensure that the enclosure's On button is correctly positioned. Press and hold the ALT Key on the keyboard of your computer, then press the power button as normal. This will bring up the boot selection screen, after a period you should see the "Macintosh HD" show up (or whatever your old hard drives name was). Choose it with the mouse and click the arrow underneath. When the computer boots through to the desktop you should (in most cases, if not don't worry, move on down) see a window appear saying you have attached a device the computer cannot read, this is normal as the drive is not formatted for use. Click "Initialize...". Disk utility will open. 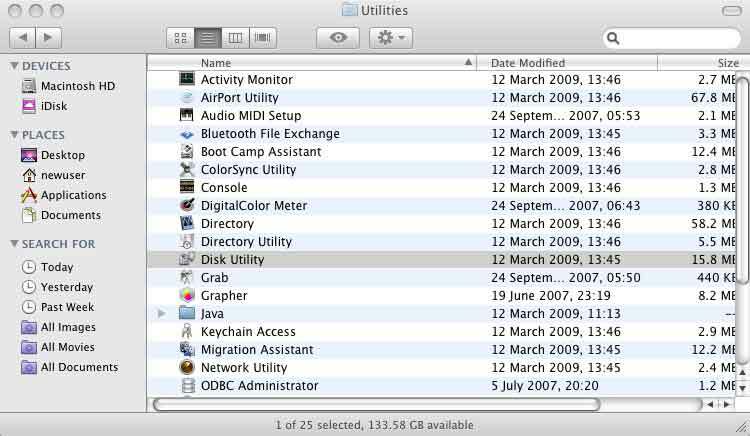 If it does not, navigate to the Go menu at the top the screen then click on "Utilities" then double click on disk utility. 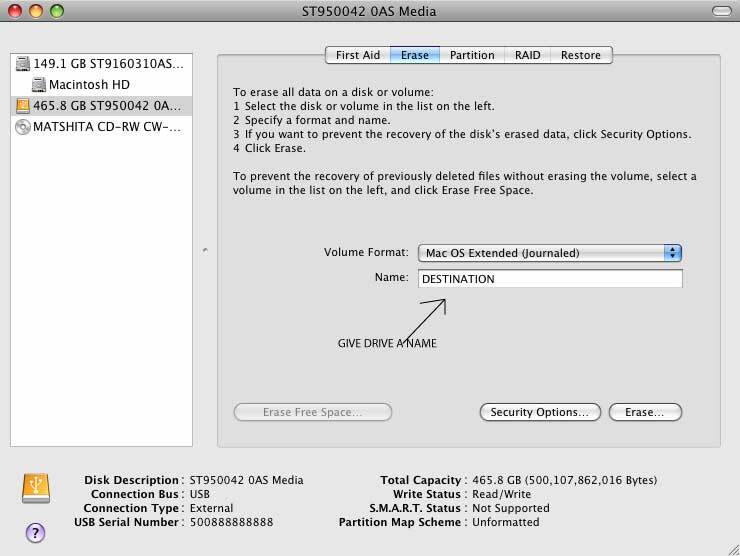 When disk utility opens you will see all the hard drives (and optical drives/disks) in the machine. On the far left are listed the devices. You will see your current boot drive listed with an orange icon (in most cases this is called Macintosh HD or Untitled) this is your current hard drive. In the list on the left you will also see a drive listed which does not have an indented volume underneath it. This is the new drive which must be formatted for use this has a grey icon. 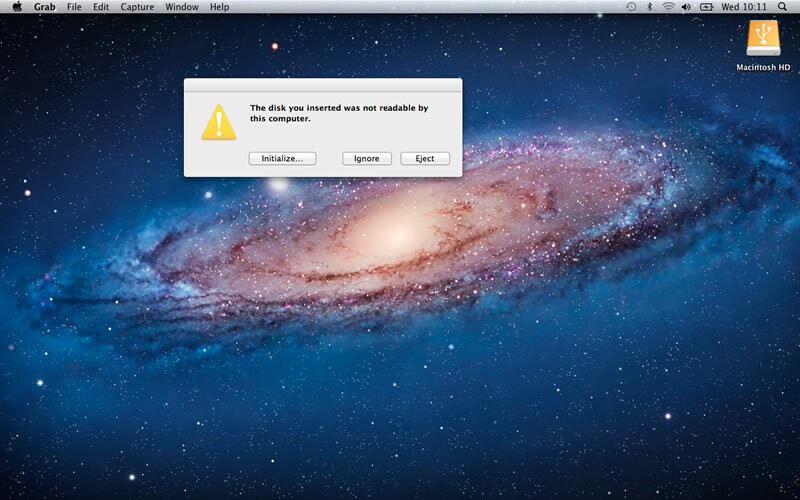 (see picture below) If the drive does not show up, give us a call (provided you've bought it from us!). Select this device, and some options and tabs will appear in the space on the right. Select Erase. You will then see the erase options on the screen. In the "Name" box call your drive the same name as before, (this helps with hardcoded file links). Then (unless you know better) leave the formatting option as "Mac OS X Extended - journaled". Then click the Erase/Confirm button at the bottom right of the window. You will then be asked if you are sure you wish to erase this drive - provided you have no other disks attached (other than the enclosure and your internal drive) then confirm it. If you have other drives attached double check you have selected the right one before proceeding. 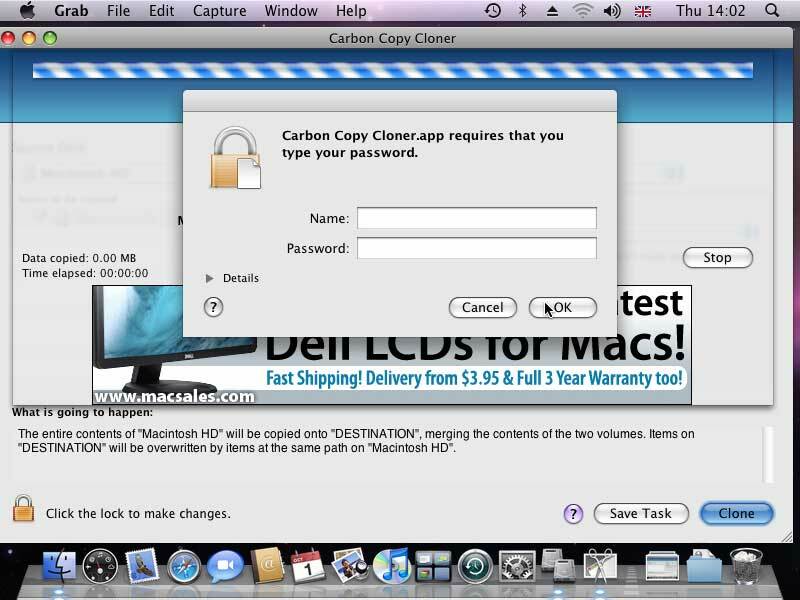 Find Carbon Copy Cloner (hereafter CCC) in the Applications folder (where you installed it before you started) and double click it. Read the terms and click agree. You get presented with the clean and easy to use CCC interface. For machines running 10.7 and 10.8 we need to clone the recovery partition in order for the system to work correctly. For 10.6 or lower skip to number 23. Choose Disk Centre from the window menu at the top. 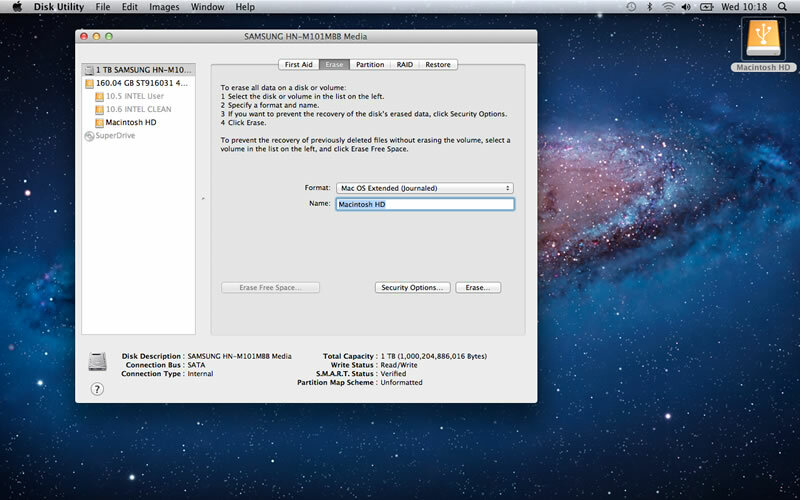 Select the new internal drive (grey icon) from the list on the left. Choose the Recovery HD option. Click "Create a Recovery Partition for this volume"
Await confirmation that this has been cloned succesfully. We are now ready to clone the main system and data. 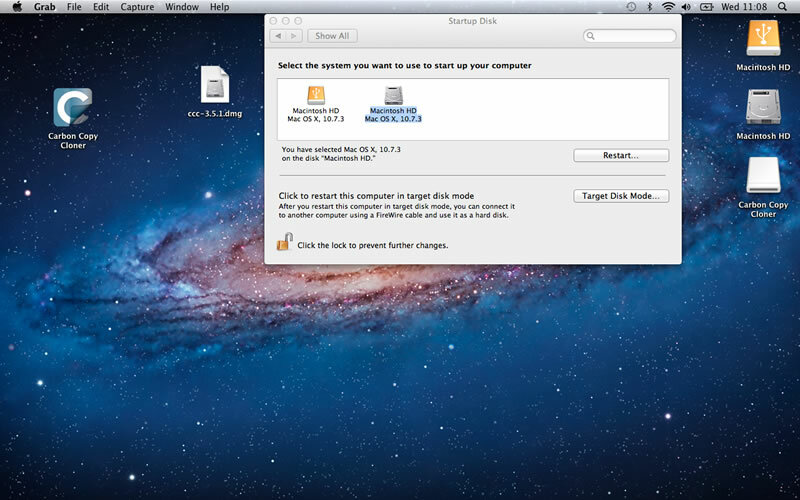 Close the disk centre and select your external drive as the source (orange icon) in the main Carbon copy cloner window. Click the Clone button and wait. Cloning can take a number of hours to complete, depending on the size and structure of your data. It is probably best not to do anything on the computer while it's cloning - to maximise speed and reduce the risk of newly created files not being transferred. Once the clone has completed you will get a friendly message saying that the backup task has completed. Now we will test the new drive and set it as the startup disk for your machine. 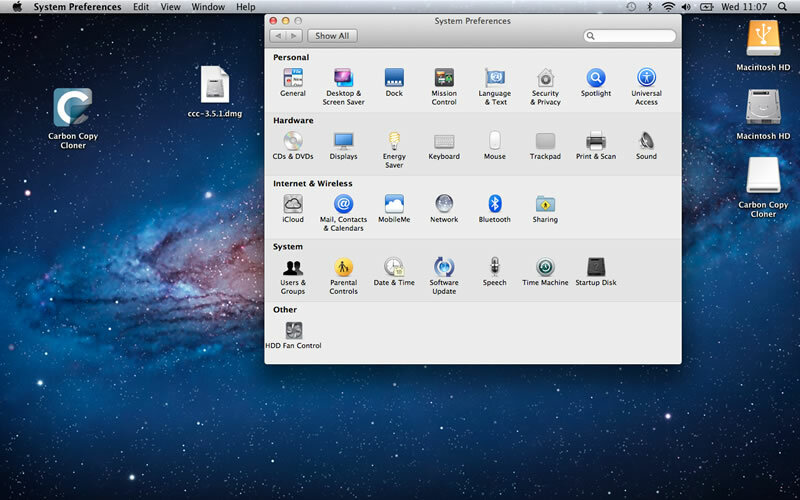 Open System prefrences from the Apple Menu and choose startup disk. You should see both the internal and external options listed. Select the internal drive (grey icon), then press restart. The computer should now restart. Allow the machine to boot to the desktop. Then select the external drive (the previous boot drive) and eject it (either by pressing Apple E or by dropping the icon to the trash in the dock) and disconnect it from your computer. Check that all programs work and that settings have been carried correctly. If you wish, you can fit use your old internal drive in the enclosure as a handy portable drive or secondary backup (you do already backup don't you?). If any of the above steps do not perform as described or if you are in anyway unsure of how to proceed (and if you have bought parts from us) please give us a call or start a chat with us to confirm before proceeding. This procedure will remove all data from the external drive and replace it with the data from the internal drive (YOU HAVE BEEN WARNED). Attach your external hard drive to the computer. Navigate to the Go menu and the top the screen, then click on "Utilities", then double click on Disk Utility. When Disk Utility opens, you will see all the hard drives (and optical drives/disks) in the machine. On the far left are listed the devices. Indented underneath your current one you will see the volume name - (in most cases this is called Macintosh HD or Untitled) this is your current internal hard drive. 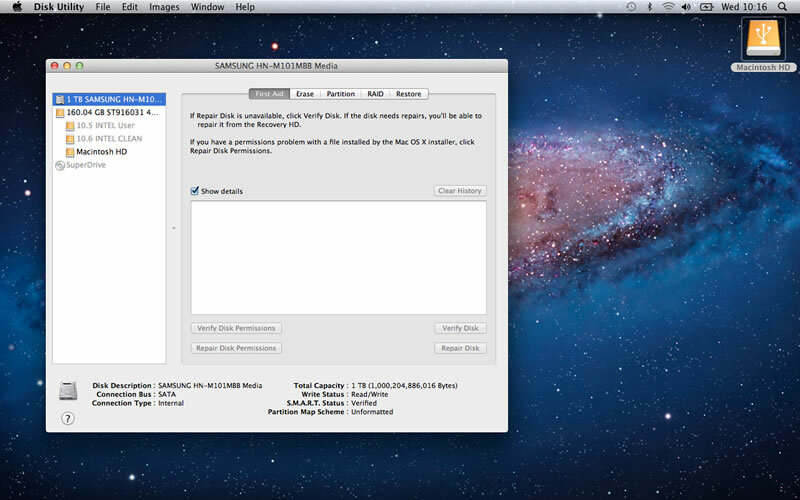 In the list on the left you will also see your external hard drive listed. This will have USB or FIREWIRE icon next to it (orange as opposed to the grey icon used for the internal drive). We are going to format it ready for cloning. Select this device and some options and tabs will appear in the space on the right. 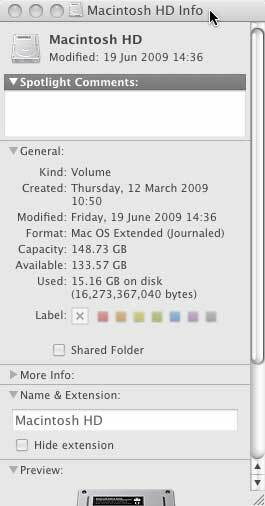 Select Erase (the picture below assumes that the external drive is unformatted, if there is an indented orange icon below the highlighted drive it means the drive is already formatted and the Erase function will erase all data previously on the disk). You will then see the erase options on the screen. In the box provided call your drive "DESTINATION" - we will change this later, don't worry. Then (unless you know better) leave the formatting option as "Mac OS X Extended - Journaled". Then choose the Erase/Confirm button at the bottom right of the page. 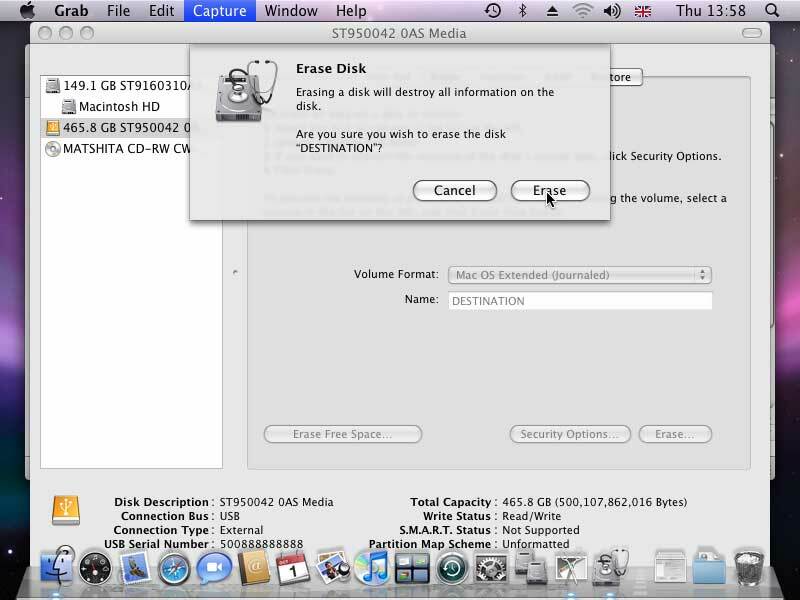 You will then be asked if you are sure you wish to erase this drive. Provided you have no other disks attached (other than the external drive you intend to use for the clone and your internal drive) then confirm it. If you have other drives attached, double check you have selected the right one before proceeding. A blue bar will appear as the drive is being formatted. Once complete you should see an indented icon labeled DESTINATION appear indented underneath the volume information we saw earlier. We are now ready to clone. 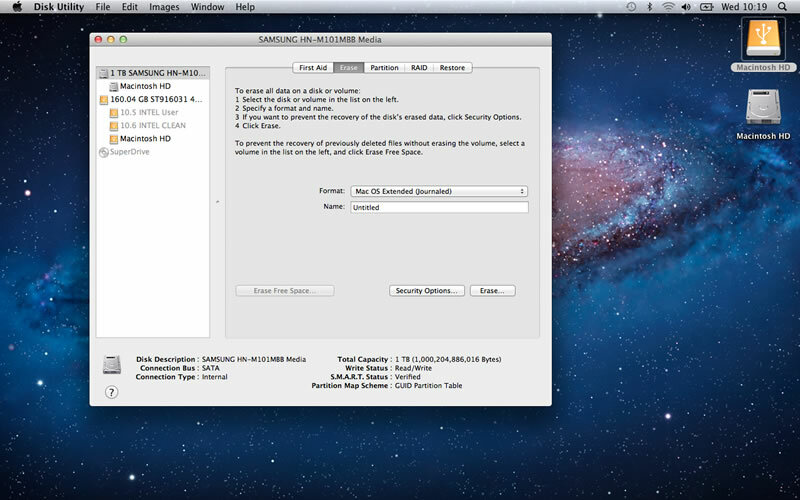 Select the EXTERNAL drive (orange icon) and then click Recovery HD. 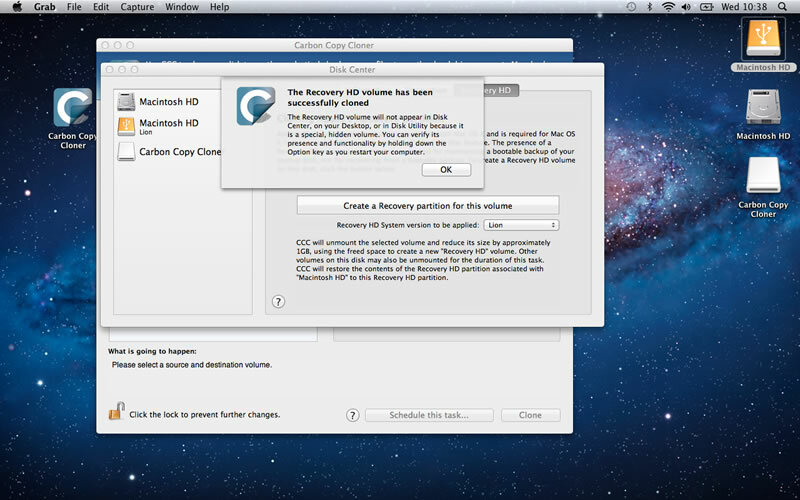 Then choose Create a Recovery Partition for this volume. 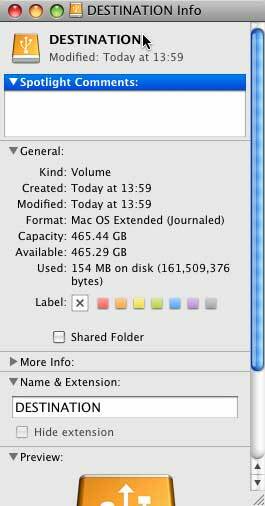 Once this has completed we are ready to clone the data to the external drive. Choose the internal drive as the source and DESTINATION as the destination. Double check everything above and click "Clone". It will ask you for your password, enter it and go do something else for a fair while. Cloning can take a number of hours to complete, depending on the size and structure of your data. It is probably best not to do anything on the computer while it's cloning - to maximise speed and reduce the risk of newly created files not being transferred. Now we are going to re-name both of our drives to ensure all sym links and aliases work properly. Choose your current internal drive (Macintosh HD, etc.) in the Finder, so that it is highlighted. Press the APPLE and I keys on the keyboard. An information box will appear. In the name box add the word OLD to the end of the current name - to end up with (for example) Macintosh HD OLD. Close the dialogue box - you may be asked for your password, if so enter it. 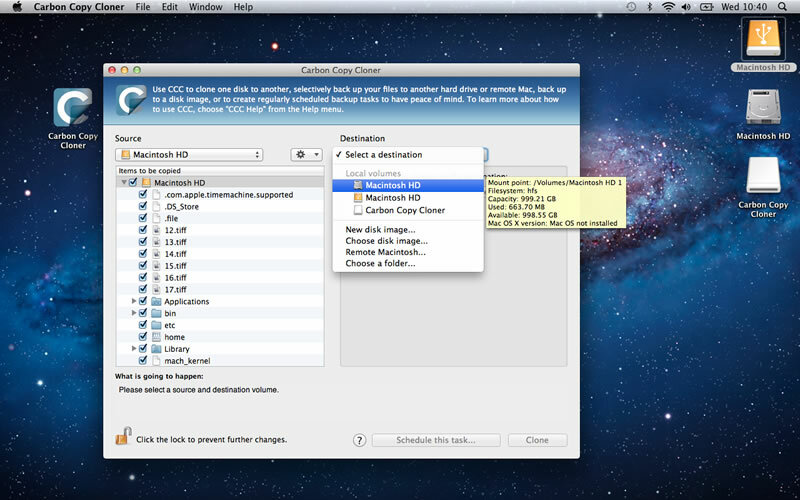 Now select the disk DESTINATION in the finder so that it is highlighted. Press the APPLE and I keys on the keyboard. An information box will appear. In the name box delete DESTINATION and replace it with (for example) Macintosh HD (or whatever your OLD disk is called). Now you end up with (for example) Macintosh HD. Close the dialogue box - you may be asked for your password, if so enter it. Go to Apple Menu > System Preferences. When System Preferences has opened choose "Start up Disk" from the panel. Wait while the list is populated. 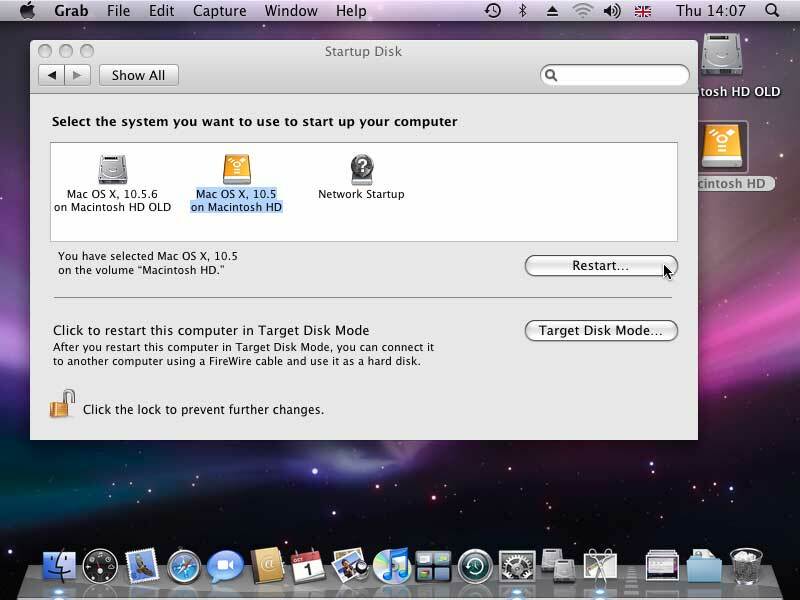 When it appears, select "Macintosh HD" (the external cloned drive) from the list and choose restart. When the machine restarts, make sure all your items and documents are present by opening programs etc. When you are happy that all is good, you know that the clone has been successful. You can now install your new drive into your system. Shut down your computer. Follow the instructions for installing the new drive into your computer. For home installable parts instructions, are provided on our site in the internal hard drive section for the machine in question. 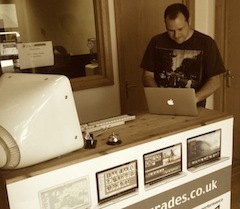 You can find take-aparts on YouTube by searching for "iMac Hard drive installation" (for example). Once the new drive is installed, connect the external hard drive to the machine. Turn the machine on with the ALT key on the keyboard held down. This will bring up the boot selection screen, after a period you should see the "Macintosh HD" show up. Choose it with the mouse and click on the icon that shows an arrow pointing to the right. This will boot up the machine from the external disk. When the computer boots through to the desktop you should (in most cases, if not don't worry move on down) see a window appear saying you have attached a device the computer cannot read, this is normal as the drive is not formatted for use. 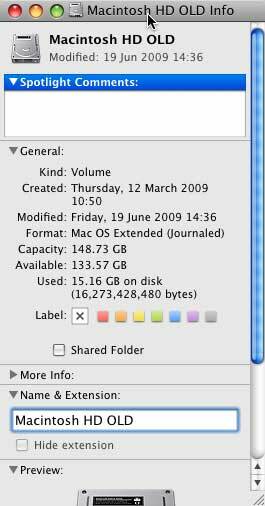 Open Disk Utility as before. 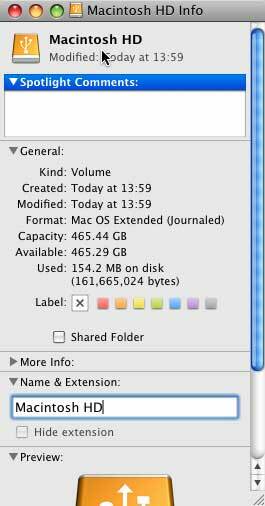 In the list of drives on the left you will see a drive listed which does not have an indented volume underneath it. This is the new drive which must be formatted for use. Select this device and some options and tabs will appear in the space on the right. Select Erase. You will then see the erase options on the screen. In the box provided call your new internal drive "DESTINATION" - we will change this later, don't worry. Then (unless you know better) leave the formatting option as "Mac OS X Extended - Journaled". Then choose the Erase/Confirm button at the bottom right of the page. You will then be asked if you are sure you wish to erase this drive - provided you have no other disks attached (other than the external drive you have booted from) then confirm it. If you have other drives attached, double check you have selected the right one before proceeding. A blue bar will appear as the drive is being formatted. Once complete you should see DESTINATION appear indented underneath the volume information we saw earlier. (see picture) We are now ready to do the second clone. If you are using 10.7 or 10.8 you will need to clone the recovery partition again follow the procedure in step 10. If using 10.6 or lower skip this step. We now use CCC again to clone back from the External drive to the Internal one. 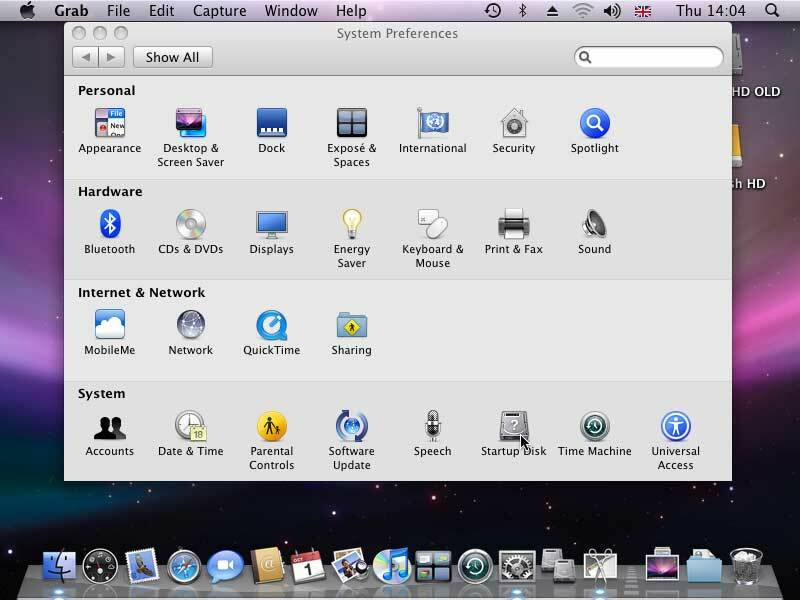 Choose Macintosh HD as the source and DESTINATION as the destination. Enter the password and initiate the clone. Once complete, use the Finder again to change the names of the external and internal drives so that the new internal drive ends up as Macintosh HD or whatever the original internal drive was called. 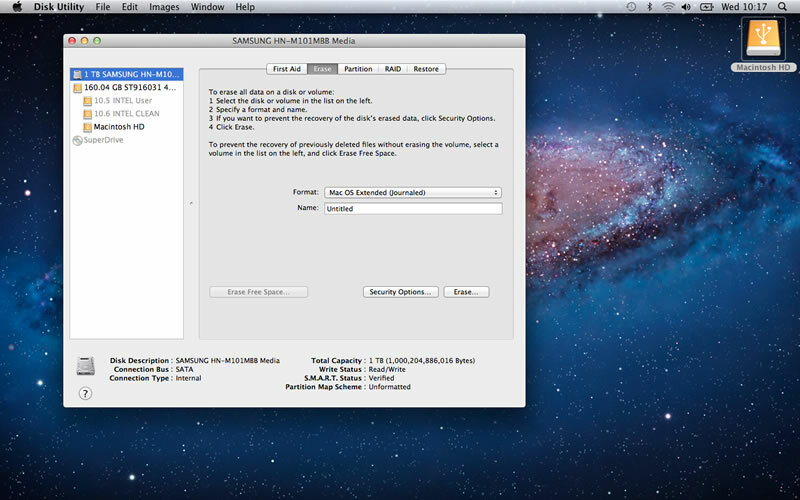 Then use System Preferences as before to change the start up disk to the newly cloned internal drive. Restart the computer and ensure all is good. Then you are finished. You may wish to erase your external disk in disk utility (unless you want a nice convenient bootable backup) so you can use it for other purposes. Basic procedure for machines which support multiple internal disks, such as Power Mac G5s and Mac Pros. 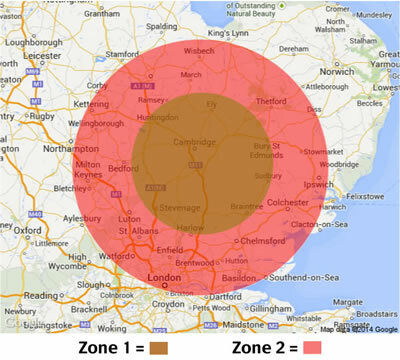 More detailed how-tos can be found in the sections above. Read one of the sections above to familiarise yourself with the procedure for using disk utility, Carbon Copy Cloner (CCC)etc. Insert the new drive into one of your spare hard drive bays while the machine is turned off. 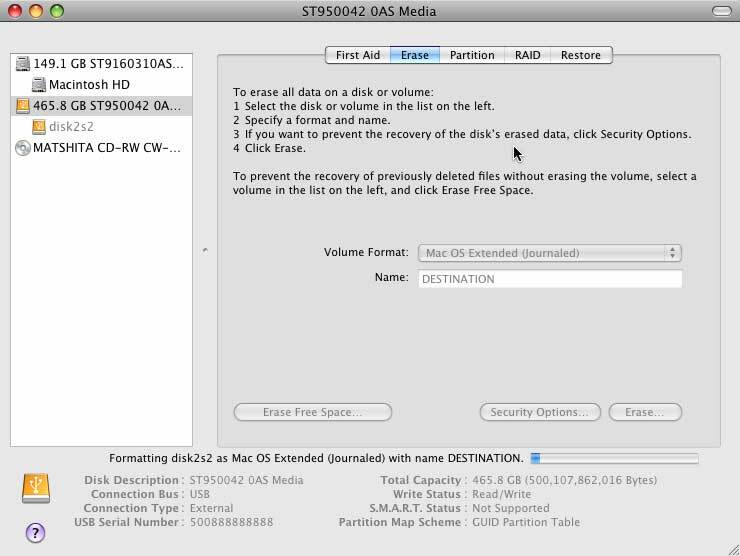 Upon restart, use Disk Utility (from the GO menu > Utilities) to format the new drive and call it DESTINATION. Open CCC. For 10.7/10.8 open Disk Centre from the window menu, select DESTINATION and choose Recovery Partition. Clone the recovery partition accross to the new drive. For 10.6 or lower skip to below. Use CCC to clone from Macintosh HD to DESTINATION - This may take some time. 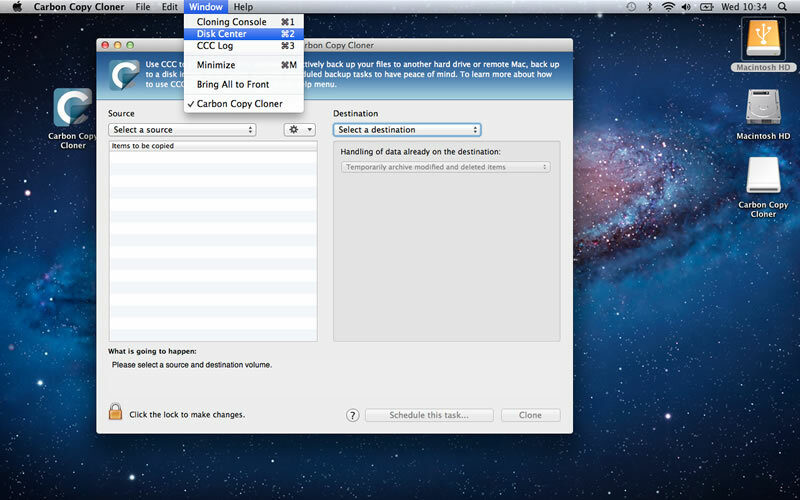 Once complete use System Preferences to change your startup disk to DESTINATION. Choose Restart. Once the machine is booted ,check all programs etc. work. When you are happy, use Finder to rename the DESTINATION to Macintosh HD (or whatever the disk was called before). Then use Disk Utility to format the original drive (unless you wish to keep it setup as a clone - could give problems if you accidentally boot from the wrong drive) or remove it and keep it safe. Yes these instructions could be a lot shorter, they are however designed to try and cover all abilities and be as clear as possible when dealing with people's important data. Put old drive into enclosure and connect to computer correctly. 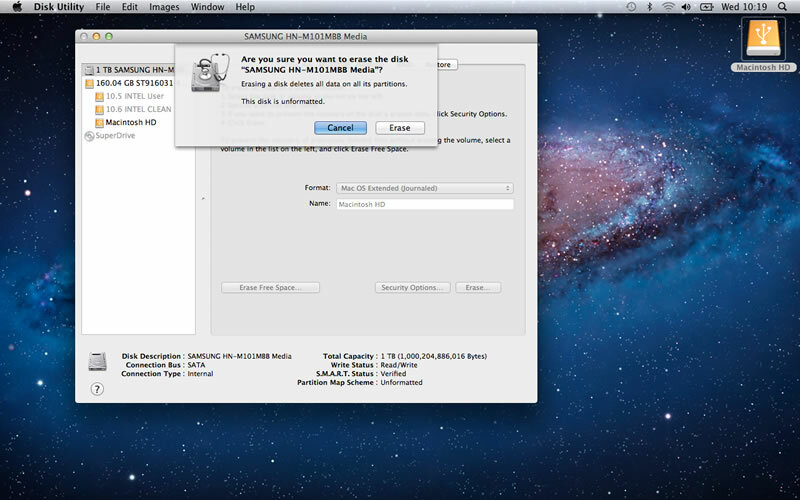 Erase new internal drive in disk utility. Re-name new internal drive to same name as old one (for hard linked files and projects). Check drive works by changing startup disk to new drive. Check that all programs etc work as hoped. Enjoy your upgraded hard drive.